Certification: Certificate of Completion will be provided after completing the course. This course is designed for delegates who have covered the basic and intermediate levels of the java programming. This course will provide an in-depth knowledge of the collections framework, multithreading concepts of java, Managing Input/output Files in Java and Managing Errors and Exceptions and Assertions and design by contract. This course requires knowledge of basic Java syntax, variables, control structures, primitive data types and main method. 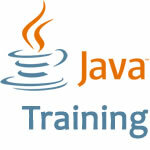 Our Programming With Java Training Course covers all of the prerequisites. This course also needs the knowledge of the object oriented concepts that are covered in detail in our Java Programming with Object Orientation Training Course.